With an impressive 40% reflectance value, Landmark Solaris™ PLATINUM from CertainTeed is a leader in the cool roof industry. Landmark Solaris is a solar-reflective asphalt roof shingle for steep-slope roofs; its advanced color granules reflect the sun’s rays and can reduce a roof’s temperature by as much as 20% in the summer. An impressive reflectance value isn’t all you’ll get from a Landmark Solaris PLATINUM roof: our bright, fresh color palate will give your home the smooth, sophisticated look of a classic roof. Blending ecological technology and innovative performance, Landmark Solaris roofing is more durable than traditional shingles. “Thermal shock,” or the expansion and contraction of shingles due to temperature, can reduce the life expectancy of your shingles. 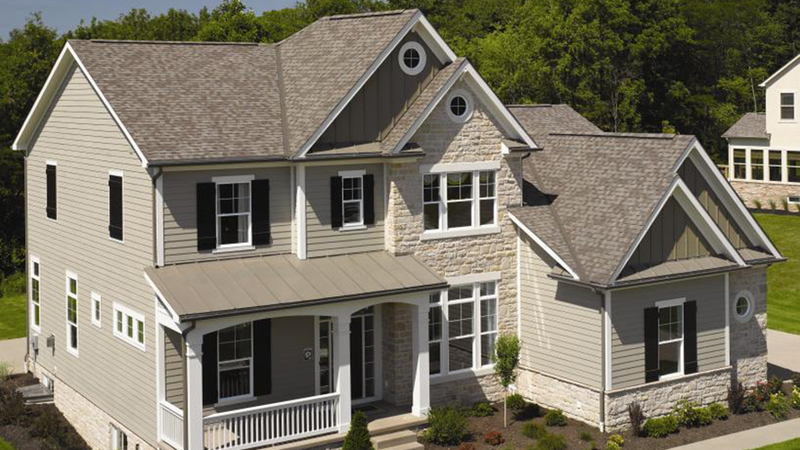 Let cool roof technology work for you to keep your home cool and your roof strong. Miami-Dade Product Control Acceptance: Please see the Notice of Acceptance (NOA) to determine approved products by manufacturing locations. Using cool roofing technology has been recognized as one of the easiest, most cost-effective ways of lowering energy consumption. But until now, going green meant going white. While white is naturally reflective, Landmark Solaris Collection’s innovative technology puts color where white used to be and produces a shingle that reflects solar energy. That’s a green of a different color. Though light-colored surfaces traditionally have higher reflectance than dark surfaces, Landmark Solaris Collection’s cutting-edge design defies traditional thinking by reflecting the sun’s energy with style. Landmark Solaris Platinum takes solar reflective roofing technology to the next level by providing a roof surface that achieves 40% solar reflectivity. This level of solar reflectivity is by far the highest in the asphalt roofing industry and is 60% more reflective than a standard solar reflective roof surface as defined by ENERGY STAR®. This is important because a 40% solar reflective roof surface can reduce the cooling load two times more effectively than a normal ENERGY STAR rated roof, potentially doubling your energy savings from installing a solar reflective roof.